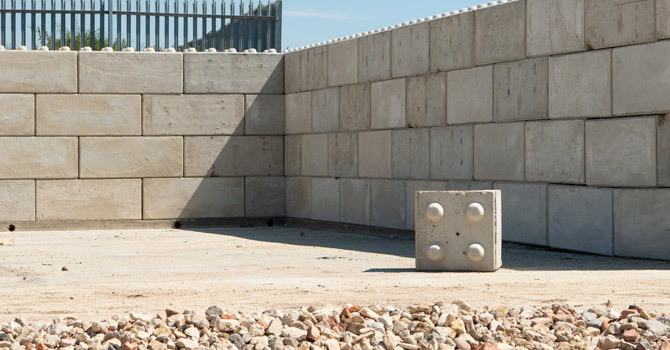 Concrete Lego blocks are perfect for building storage bays, partition walls, security blocks and retaining walls. The Sheehan Group are leading producers and suppliers of concrete Lego blocks. Concrete Lego blocks are a popular product for building custom storage bays, partition walls, security blocks and retaining walls. They are quick and easy to install and thanks to an interlocking system and easy to manoeuvre with two lifting anchors cast into the block. When connected they create a strong foundation. Read more about why interconnecting concrete blocks are growing in popularity.